Property development is considered to be a potential and one core business area by VINACONEX, for the corporation has a great deal of capacity for construction, building material production, import and export activity, and project management. 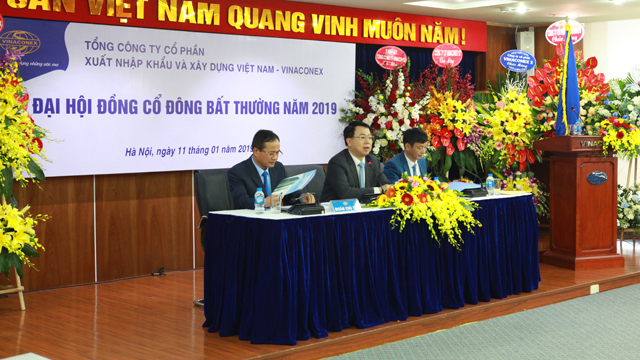 At present, VINACONEX focuses on implementing a number of real estate projects in Hanoi, Ho Chi Minh city and other provinces over the country. VINACONEX is known as one leading construction contractor in the construction industry of Vietnam for its ability to implement large scale projects in civil and industrial construction, urban technical infrastructure, traffic and irrigation works, etc under the forms of bidders, general construction contractor, EPC. This is considered to be one core business area, which will be supported by VINACONEX’s human resource, new technologies and equipments so that the corporation can participate in larger and more complicated projects. Though VINACONEX is new in the design consultancy area, the corporation acknowledges low capacity for design consultancy of domestic enterprises in comparison with their foreign counterparts by researches and initiative to catch up with the most updated orientations of the world. Planning, architectural and structural solutions provided by VINACONEX aim at sustainable development that best meets customers’ demands. Connecting between property development, design consultancy, and construction, the industrial production and building materials is one main business activity of VINACONEX. All of its products are essential to social demand, produced on modern manufacturing line and contain high-tech qualities. VINACONEX has long been a reliable supplier of machinery, equipments and construction materials, especially complete production lines for manufacturing building materials; construction, water supply and drainage and environmental treatment equipments, in the construction, transportation, irrigation industries. In twenty years of development, the strategy of Vinaconex is to build a strong financial regime and incessantly expand financial investment. This orientation has helped Vinaconex reach the growth rate of 25-30 per cent, increase total asset thirteen times and turnover more than six times. In recent five years, the owner asset has increased nine times and benefits increased ten times. In recent years, not only focusing on its core business, Vinaconex also pays special attention to the development of education and training to meet the need of its personnel and outside companies. At present, Vinaconex has two colleges providing vocational training to technical workers. Each year, these two colleges provide over 500 workers and laborers for Vinaconex, its subsidiary and other companies. Trang Tien Plaza was the first project developed by Vinaconex, which marked the milestone for the corporation's transformation into the trading-service field. For years of uninterested attention to other investors, Trang Tien Commercial Center (Trang Tien Plaza) was reborn by Vinaconex and met the expectation of Hanoi's citizens. Located in the center of Hanoi and equipped with the most modern facilities nationwide (as for its first opening in 2000), doing business in Trang Tien Plaza is the dream of every businessmen. In addition, a system of Vinaconex's supermarkets was formed and gained initial success. Besides its two core business areas, VINACONEX also engages in other fields including trading, tourism, hotel management, entertainment resorts, education and training, soccer, insurance, bodyguard and urban services.